Our Quality department is permanently on deck to ensure compliance with good manufacturing practices for your products. To guarantee optimum food safety, our Quality Service is frequently audited on our production method. 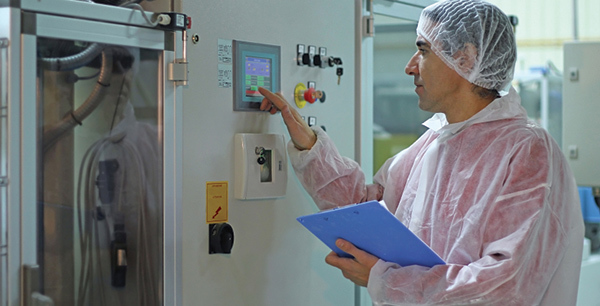 We are subject to Hazard Analysis Critical Control Point (HACCP) regulations. A method of controlling the safety of foodstuffs. We comply perfectly with the IFS standards, which is an audit trail, which certifies TITOK as favorable to the various standards that make up IFS. Today, IFS is based on several criteria such as: GFSI, GMP and rules of European legislation. The Global Food Safety Initiative (GFSI) to provide continuous improvement in food safety management systems. The goal is to ensure confidence in the delivery of food to consumers worldwide. Established by the European Commission, Good Manufacturing Practices (GMP) are an assurance of in-house manufacturing quality. These standards emphasize the hygiene and organizational practices that must be implemented at all levels. The European Union also intervenes in the process of quality requirement, prohibiting any use of products from genetically modified organisms and subjects us to a clear identification of allergens on labeling in particular.